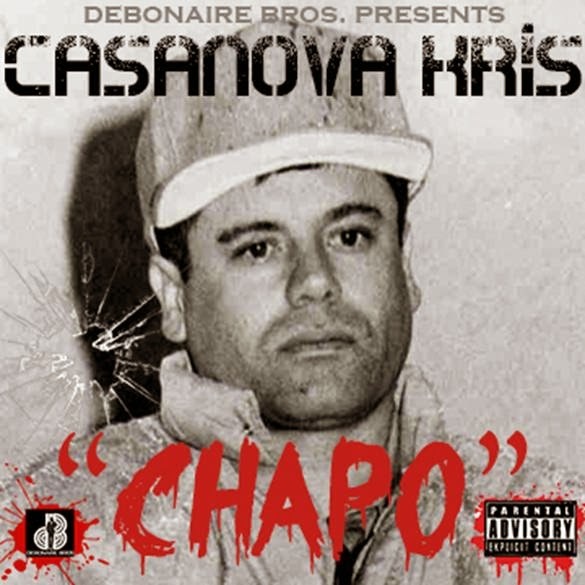 Home Entertainment News Music News Nexxlegacy Radio News Casanova Kris Returns with "Chapo"
Casanova Kris Returns with "Chapo"
DALLAS, TX (May 8, 2014) – Dallas rap artist Casanova Kris recently released a new single titled “Chapo,” inspired by current events surrounding Mexican drug lord El Chapo Guzman. Casanova Kris, a respected formers street boss in Texas, made national headlines last year when he was arrested after several of his properties were raided by federal agents. While awaiting a possible federal case against him, he’s taken up his love for music to lyrically document his life as one of the most successful and sought after kingpins in his hometown. His new banger “Chapo,” produced by Vault Beatz, is featured on “The Other Guys 10” mixtape by DJ Tephlon and DJ Ace of Atlanta and hosted by Jim Jones. Casanova Kris switches up his familiar deep baritone for a higher pitched tone reminiscent of Atlanta’s popular southern Hip-Hop cadence. The Dallas rapper says the song is inspired by the recent widely publicized arrest of drug cartel kingpin El Chapo Guzman – one of the world’s most wanted criminals. Casanova Kris is still riding a wave of success after the recent release of his video “Love Nova,” a gritty visual accompanying the emotional record that details what happened when he fell victim to a series of federal raids last year. The suave gentleman plans to drop a new video for “Chapo” very soon and is currently in the studio recording his debut mixtape “Nov. 28th,” the date of that fateful day last year when his life took a drastic turn. With features from the likes of 2 Chainz and Drumma Boy and production by Play N Skillz, his upcoming mixtape is creating quite the industry buzz. Keep up with Casanova Kris online at www.CasanovaKris.com.